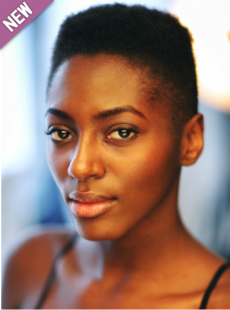 Yrsa Daley-Ward is an actor, poet, model and author of West Indian and West African heritage. Known for her powerful poetry – both written and spoken word – Yrsa explores topics such as identity, race, femininity and mental health. She self-published her first book Bone in 2014, which was subsequently published by Penguin Books in 2017. She released her coming-of-age memoir The Terrible in 2018, which The Evening Standard described as ‘a rare combination of literary brilliance, originality of voice and narrative that commands you to keep going until you’ve reached the last page.’ (Anna Van Praagh, The Evening Standard, 31 May 2018). Yrsa splits her time between London and New York.